Registered in Victoria as an Association. 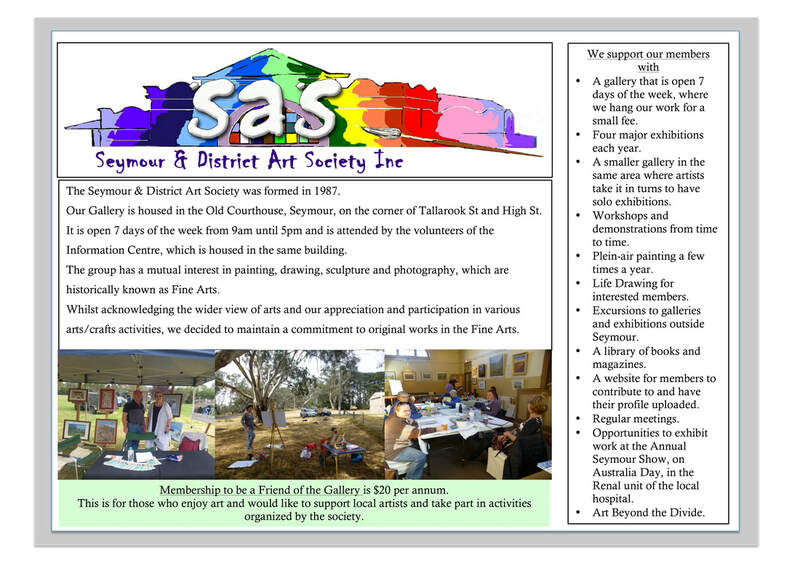 The Seymour & District Art Society was formed in 1987. The group has a mutual interest in painting, drawing, sculpture and photography (ie historically known as ‘Fine Arts’). Whilst acknowledging the wider view of arts and our appreciation and participation in various arts/crafts activities, we decided to maintain a commitment to original works in the Fine Arts. 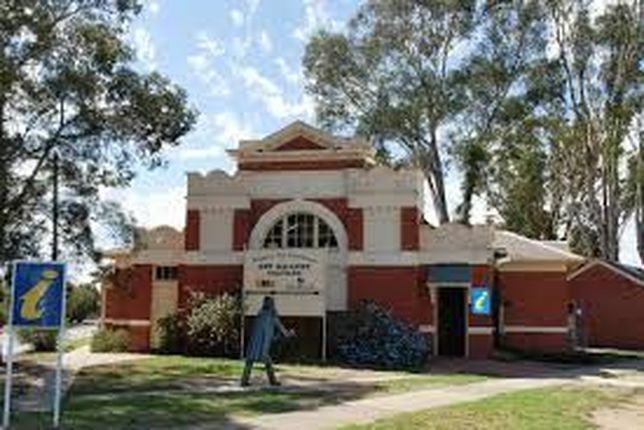 The Society’s Gallery is housed in the historic Old Courthouse, Seymour, and is the only public gallery in the Shire of Mitchell. Our aim is to encourage people who are interested in the Fine Arts and we currently have 60 Members and Friends of the Gallery. Our members vary from well-known artists to beginners. 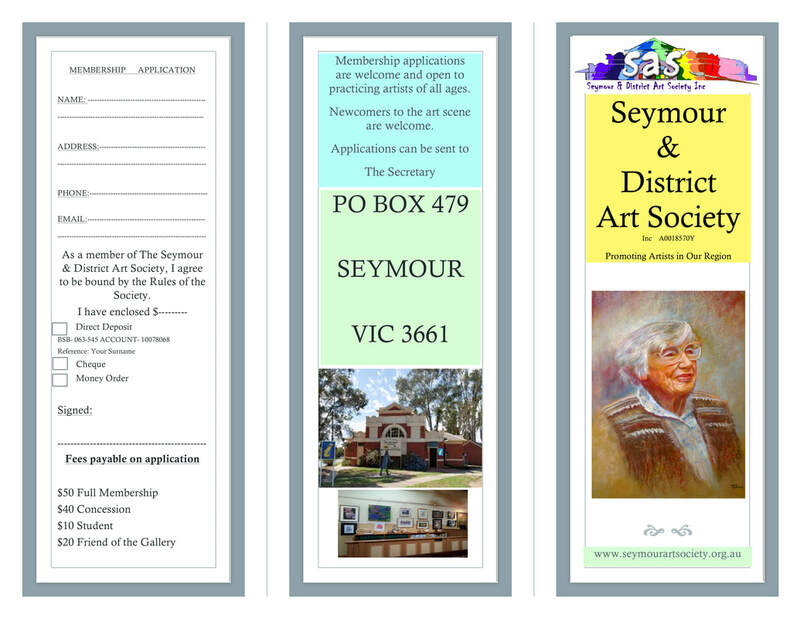 Full membership of the Society entitles members to hang their works in the Old Courthouse Gallery, Emily Street, Seymour. The gallery is open from 9 am to 5 pm seven days a week. Paintings are changed on a regular basis. In addition to our Annual Exhibition (usually held in June) we regularly have special exhibitions throughout the year. Workshops, classes and outings are another feature of the Society. The Art Society meets each month at the Old Courthouse Gallery on a four monthly basis. The next meeting is on Sunday, November 8th at 1.00 pm. Interested people are welcome to attend any meeting. This enables members to mix socially and fosters knowledge of the arts. Full membership is $50 per annum and student membership (primary and secondary school students) is $10 per annum. Fees are payable each financial year and a ‘pro rata’ arrangement applies to new members. If you enjoy art and would like to support local artists you may like to become a ‘Friend of the Gallery’. This entitles you to receive regular Newsletters and invitations to first showings of exhibitions, and other functions. Membership for Friends of the Gallery is $20.